Strawberry Workshop was established in April 1986 by the current Owner and Manager Sue Wallace, and her sister Julie Collins. They trained together at Rama Hair Group, and after qualifying, they spent several years working in hair salons, perfecting their skills and building a loyal client base. Sue and Julie decided to take their hairdressing careers to the next level, and opened a salon of their own. They wanted to establish a salon that would offer both hair and beauty treatments, in a relaxing and welcoming atmosphere. They chose premises in Lee-on-the-Solent, a quiet and friendly seaside district, not too far from neighbouring towns and cities. The shop was spacious inside with a large window in the front, perfect for how they wanted the salon to look. Sue and Julie wanted to give the salon a name that was distinctive and totally different from the traditional and, with a little help from a bottle of strawberry wine, the Strawberry Workshop was born. Sue and Julie ran the salon as co-owners for 21 years. They built up an excellent reputation for providing exceptional hair and beauty services. The enduring high quality of service has been the key to the salon’s success, and therefore will be celebrating its 30th Anniversary in April 2016. 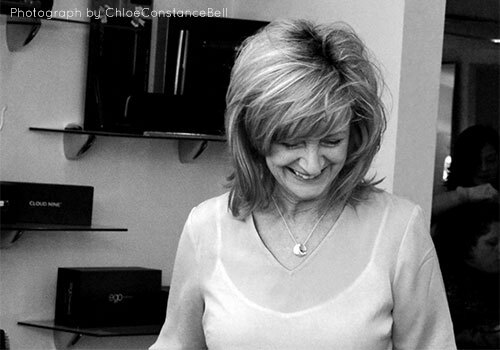 When the salon had a re-fit in 2007, Julie decided to step down and Sue took over as full time Owner and Manager. The salon was given a completely new look, which was elegant and timeless and made the most of the open plan layout. The Strawberry Workshop team is made up of only the very best hair and beauty specialists that share the same work ethos, and determination to provide the best customer service possible. Most members of staff have joined the team and stayed on for many years, and this can be accredited to the friendly and supportive atmosphere created by the team and management. Every client is valued at the Strawberry Workshop, some have been visiting the salon since it opened, and others have returned even when they have moved away. Strawberry Workshop is an excellent salon, while providing their clients with their favourite classic haircuts and treatments, they also appeal to a new client base by keeping up to date with all the latest hair and beauty trends. If you are looking for a whole new look or just a hair trim, Strawberry Workshop will cater to all your hair and beauty needs, making you feel welcome and relaxed in a salon that is professional, but with that all important personal touch.